Hello friends and faithful readers. Some of you may be wondering what I’ve been up to these days. Wonder no more! 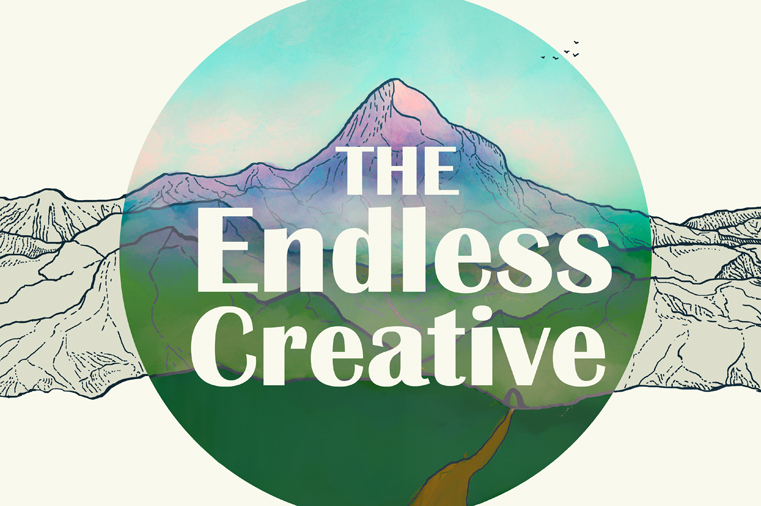 It’s been a while, but I have an exciting new update on the book I’m writing: The Endless Creative. I’ve finally completed a draft I am proud of and have sent it off to my editor. I may have overshot my planned deadline by over a month, but life happens and it feels good having finally reached this point. The Endless Creative is about finding purpose through creativity. It follows the journey of the creative as it parallels the three-act story structure and the hero’s journey. It’s something I’m excited about and looking forward to sharing with you all. For me, writing the book has been a journey in itself and I’m eager to discover what changes my editor suggests (beside the usual spelling and grammar fixes). Though I like it where it is, I know there are many ways it can be improved. I’m just not sure yet which improvements are the best. Really, I’m trying to prep myself for the many changes I expect it’s going to need, and to not become disappointed by it. Oh yeah, I should mention that the image above is not the final-final cover, but the artwork you see there is about finished. I’m really happy with how it’s turned out and had a great experience working with the artist, Robert Clear. I just threw on that text for this post. To be honest, I’m no fan of choosing fonts, I prefer to leave that to the pros. Having focused most of my creativity on getting the book ready for edit, I’m taking some time to celebrate. I often experience a little bit of a letdown after reaching a big milestone, but I’m also learning how important it is to recognize and celebrate big achievements for what they are. And then I need to figure out what’s next. I have a life coach who has been helping me in that area, keeping me focused and goal-oriented. It’s a new experience for me, and it’s been a good one so far. Looking to the horizon and what’s up ahead, I’ve been thinking more about this blog, my email list, and what I want to do with them in the future. More on that later. For now, we’ll leave things as they are. As always, I’m open to suggestions and advice. I do have a short sci-fi story that a publisher is interested in and willing to work with me on. That may be the next big project right now. I’ve got some smaller things as well, but you’ll hear more about them when they’re finished. Until next time, I hope you are excelling in and completing your creative projects, whatever they may be. If you need help in that area, you should grab my free e-book, Done! which is about that very thing. And I’d love to hear what sort of creative things have you been working on lately. Feel free to share about them in the comments below.